I don’t know about you, but here in my little corner of the world, the sun has finally come out! I was in Piedmont last week, planting Timorasso barbatelle in Stefano Bellotti’s vineyards. Hot, sweaty work at the best of times, but even worse in 30 degree heat and at 600m above sea level! We would leave the cascina at 7am and not return until at least 7pm when we were panting, sweaty and desperate for a glass of wine. Here are six summer wines that I tasted at the Villa Favorita (VinNatur) tasting back in March. They are all perfect for picnics, aperitifs or simply by themselves to quench your thirst. There’s a ton of smacking minerality on this wine, made at over 750 metres above sea level, near Passopiscaro on Mount Etna. It’s a simple wine; one year in steel then 6 months to rest in the bottle before arriving on the market. I loved the combination of that intense volcanicity with a touch of sweet, ripe fruit. Castelcerino is the highest village in the Soave appellation and these vineyards are around 400 metres above sea level on volcanic (basalt) soil. For what this wine lacks in its immediate aroma, it easily makes up with its mouthfeel. An explosion of delicate floral characters (white tea) which transform into conference pears and rich slightly-mulled apples. A very stylish, elegant wine; the finish is marked by a gentle acidity. Persistent. Carlo Tabarrini is a young winemaker working in a thankless area on the Italian penisula. Fermentation with indigenous yeasts, no fining, no filtering, no added sulfites, just lots and lots of great wine. This one in particular has a pleasant tangerine colour. 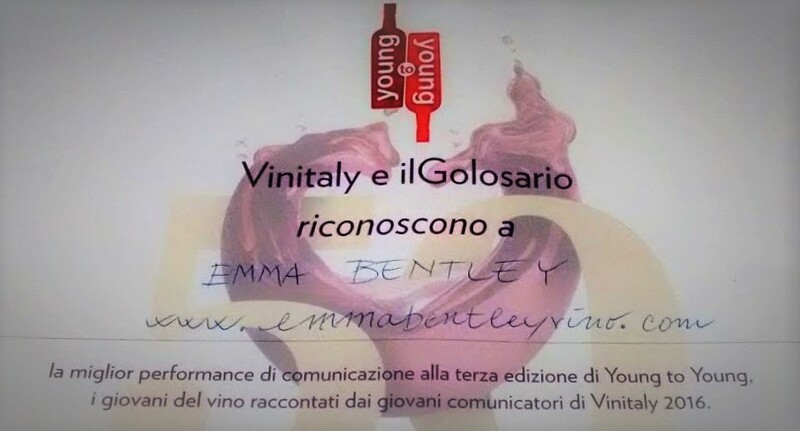 It is made from old vines of Trebbiano and Grechetto, a few days of skin-maceration in open vats without temperature control, then aging in damigiana. There’s plenty of fruit characters (apples, melon and orange peel) alongside some herbal and medicinal aromas. Dangerously drinkable. There seems to be a heavy slant towards southern Italy today because here comes another Sicilian wine in this summer collection of whites. This time, however, the wine comes from Palermo, on the other side of the island from Etna. There’s no denying that Sicilian wines make great thirst-quenchers if you’re outside in the sunshine. This wine merits a place in this list for its grassy and herbal bouquet. It’s immediately accessible and pleasing. The equivalent of a fresh summer breeze with a clean citrus edge. In short, it’s summer in a glass! The Dva Duby (means Two Oaks) winery is a small winery based in Dolni Kounice, Czech Republic. For centuries it has been a renowned winemaking town, especially for its red wines. The aim is simple – to preserve as much of the unique terroir of Dolni Kounice as possible and to produce wines with great aging potential. No herbicides, pesticides are used and even copper was banned on the estate. From their minimal six hectares of vines, they make an average of 10,000 bottles a year. St Laurent is a highly aromatic grape and being the only red wine on this list, it’s my dark horse. Definitely worth buying if you can get your hands on it! Quarticello are mainly known for their Lambrusco but this Malvasia was a very pleasant surprise. A deliciously refreshing wine that could easily be confused for a lime-soda! If you typically avoid Malvasia at this time of year thinking that it will be too sweetly aromatic, you have nothing to fear with this wine. It packs a mean punch of lime, grapefruit and orange blossom. The salinity on the finish (bone dry, by the way) was absolutely delicious.